Please share a few details about your project with SkyWest Builders. We'll contact you by email or phone soon to schedule a day/time that's convenient to meet. What designer/builder have you used in the past? 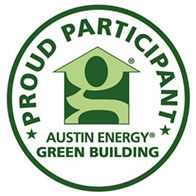 We strive for a green building rating for every project with the Austin Energy Green Building Program. Whether a new custom home or a remodeling project, we will achieve upgraded energy efficiency and good indoor air quality within your budget. It just feels right to do it that way. SkyWest Builders was recently awarded a 5-star Green Rating for our Remodel and Addition services. &COPY; Copyright 2019 SkyWest Builders. All Rights Reserved.